Follow link for sign-up page. 1st PE specific Teachmeet in the Northeast. Get involved. 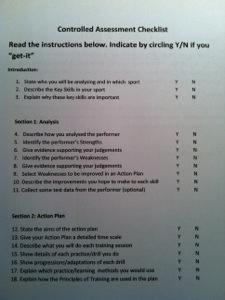 Starting in September 2012, all year 7 boys will complete an initial 4-lesson (5 hour) unit of work on FMS. This is something I’ve been wanting to do for quite some time now. Our students coming to us in Yr7 have been seemingly deficient in the basic building blocks of skill. Although I’m not trying to bash the primary school PE system, it does seem that throwing, catching, running, jumping, hitting & kicking techniques have been somewhat overlooked as schools simply attempt to “get kids active”. I’m all for this sentiment but it can be frustrating almost having to start from scratch when attempting to teach sport-specific skills to our 11/12 year olds. The unit of work attempts to hook into the element of fun & enjoyment pupils get from using FMS’s whilst allowing teachers to develop technique through simple teaching points. As part of the warm-up for this activity, pupils are split into pairs, with a Rugby ball between them. The first thing lots of our younger pupils want to do when presented with a ball on a Rugby field, is kick it over the posts. Usually this would result in a bollocking from Mr Horner & a lecture about how said pupils need to learn how to run & pass it before kicking it away… It struck me however, that if kids enjoy doing this so much, then why did we not use the activity as a fun way to start a lesson as well as a means to introduce and develop technique of kicking with the laces? Well, now we do. Not revolutionary but certainly useful. Much of the scheme works on this kind of thinking. We are constantly bombarded for statistics about pupil attainment levels, (and more recently) baseline data regarding fitness & feedback on how students have progressed throughout a year/Key Stage. 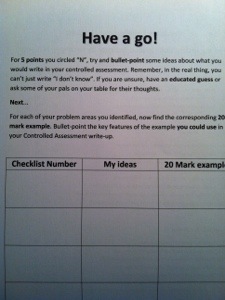 Lesson 4 in the unit allows pupils to complete assessments in all 6 FMS’s. 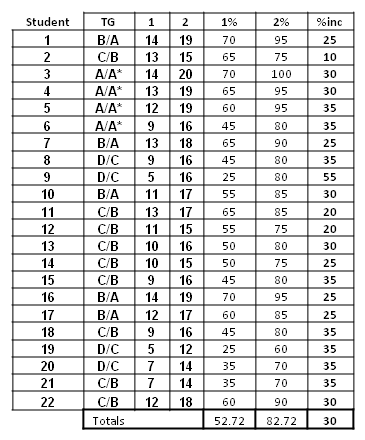 We’ve incorporated a couple of standardised fitness tests in there as well to add credibility to the data obtained. Pupils complete the 12 minute Cooper Run to assess CV endurance and the 40m acceleration test to measure speed. This scheme is very much being piloted this year but hopefully will develop and grow into something we use with all boys and girls in Year 7.